The long-term is clear, not the short term! The 119 billionaires in India saw the rise of their wealth rising at Rs.200 crore a day! While 13.6 crore Indians who make up the bottom 10 per cent, have continued to languish in debts, continue to languish so since 2004. Readers and conscience keepers can deduce the lessons for the future of the country’s economic ideology! Please think of the farmers, the villagers! This is the starting point for anyone who wants to think and understand the complex issues of agrarian distress! 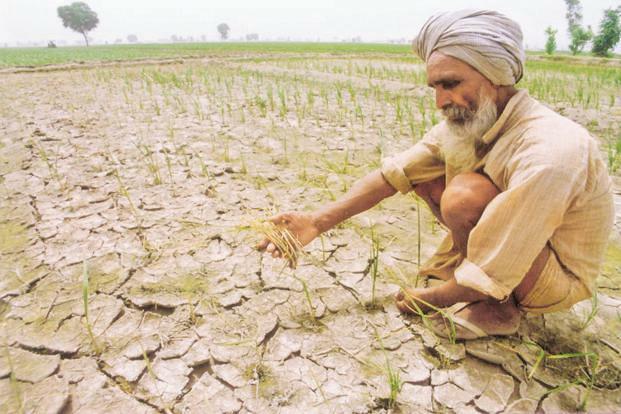 Agriculture’s future: It looks there is a collective failure on the part of the Indian people that we have failed as a nation to have some optimism and confidence on the future of our country. That is reflected in the current disenchantment and despair about the so-called rural distress. Also called the agrarian distress. The rural India is no more in distress by the daily economic and business newspapers and advertisements. Take even the otherwise subdued auto sales, both cars and bikes. The rural purchasing power is on the upswing if we are to believe the reports from such big consumer giants like the Hindustan Lever or even from the telecom companies. The sales of mobile phones remain steady and the high end phones even the Apple sales seem not diminished but on the rise, though in a subdued manner. If you look at the country’s geographical and other urban landscape, it is now seen that, as one columnist notes on the changing face of India, both rural and urban India, the 1990’s, now sees the rise of a number of new cities or expansion of the existed cities by the new urban habitations. This is what is called the millennial Urban India. There is a real steady rise in the number of the 35 million-plus cities have boomed to almost the double the size, the 35 million cities today, as per the estimate in the said column is 53 cities in 2011 and likely to zoom to 75 cities in 2021.We need not expand further the current urbanisation rate and the real estate growth also would confirm that there is a steady growth in urban and also rural India. If anything, the villages today are getting depleted by working age population and the migrate rates for every state, from UP, Bihar and Odisha to other states, a steady outward migration internally, not to speak of the educated number migrating abroad. So, the point here is that there is a growth paradigm both in the rural hinterland to the big urban and expanding cities like Bangalore which is exploding at the edges. 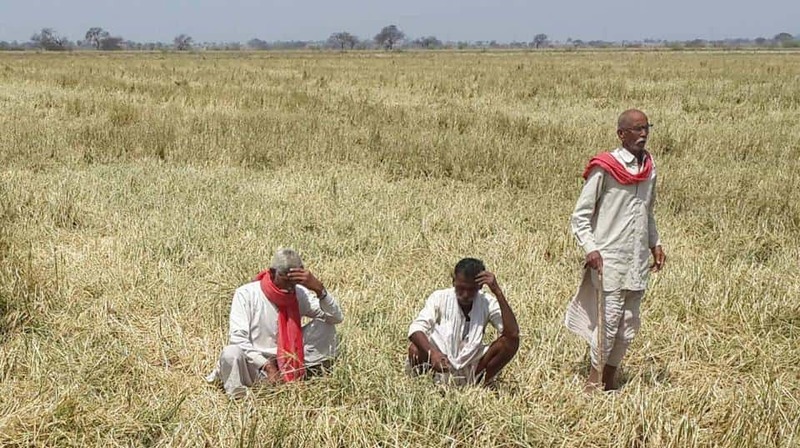 So, the so-called rural distress and the agrarian distress have to be newly redefined and better perception of the rural distress have to be articulated. Now, as for the agriculture scene, one is likely to be disappointed for the sheer neglect or lack of proper articulation. The BJP agriculture minister has spoken about his latest position at a Business Standard conducted summit that we have to wait for the budget announcement for the announcement of the new sops. This is a weak statement. The hon’ble minister must articulate his ministry’s various positions on various sections. Agriculture is to produce enough food stocks for internal consumption, for exports and for internal distribution under the various social schemes like PDS and also to maintain food prices to contain food inflation etc. The portfolio is a very heavy one and calls for various initiatives. Unfortunately, we don’t gat such a reassuring picture of the basic portfolio. The farmers of this country have paid a heavy price for trusting the government to announce one or two major policies. There is, as we in this media say often, a macro-economic and micro-economic perspectives in the agri sector. There is the huge confidence among the countrymen about the future of the Indian agriculture sector. India is one of the largest producer of the critical grains, both wheat and rice. April-September period, the farm product exports in dollar terms crossed 9 billion dollar mark and this has to be further analysed and explained to the general farm public in simple and easy manner. This is not happening and we at the Vadamalai Media are engaged ion doing just that. Agriculture is a very serious priority for us and we like to empower and educate our farming public with what we, as farmers are engaged in. 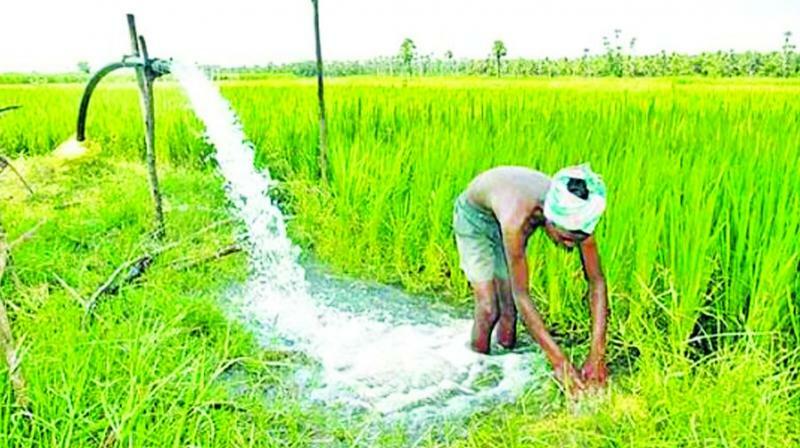 How high priority is agriculture? 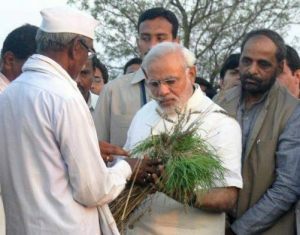 Agriculture is the very soul and psychology of the majority of the Indian people. 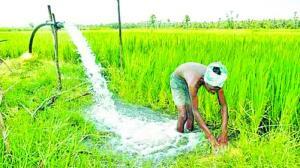 India is an agrarian economy. India is an agriculture nation. So, every step in safeguarding the very foundation of the Indian economy must start with the Indian agriculture development. Agriculture has to be seen as basic to our very way of life. So, the hot political topic of farm loans waiver and other assurances to the farmers have sort of sacred value for every policy maker. Who are all agriculture policy makers? Not the routine secretaries and joint secretaries and other major and minor bureaucrats? Farm loan waivers as announced and assured by various state governments have to be seen with a realistic and responsible way. Farmers suicides also need to be more seriously discussed. 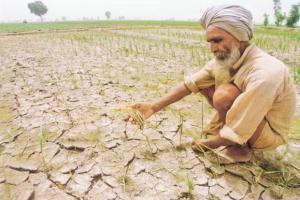 Farmers lives in the villages are governed and driven by various socio-cultural and economic factors. Farmers want to live by honour and self dignity. So, the farmers debts are a matter for both their economic security and self-honour. So, we have to give a kisan credit card that should be very flexible and must carry lots of flexibility. A farmer won’t go away from his traditional occupation like, say, any other businessmen or other business ventures. So, the farmer’s identity is very different. We see farmers in the historic context. He is both a debtor and a litigant. The various land reform legislations have turned farmers into both debtors and litigants. That is one basic reason why farmers suddenly turn into debtors. The land legislation laws, in our opinion, have to be liberalised. In fact, we need new legislations to ensure that the traditional rural land ownership is not so radically cast. Make land ceilings relaxed. The Niti-Aayog has come out with a model land legislation law. Of course it is now too late in the day, as we are nearer the 2019 General Election and so it is very unlikely the government can meddle with these tricky and in a sense unworkable land laws. This is a reality that everybody concerned avoiding the topic altogether! Rural reality is much more complex than what the establishment seems to be imagining. Rural reality is historically formed. So, we have to take much time and labour to create a new climate of mind change for the experts, academics and political ideology seekers. We have to bring in both the Leftists and the Right-wingers and also the new avatars as caste parties and also rural landed feudalism wherever it is entrenched.